of chromate. There is an industry push to use chromates that are hexavalent-free. Black Oxide coating improves visual quality and produces smoother parts. This is great for tooling & close tolerance parts, since there is no coating build up on the surface. Electroless nickel is not only used to provide corrosion protection, but also for wear resistance, to provide solderability, & enhance the performance. 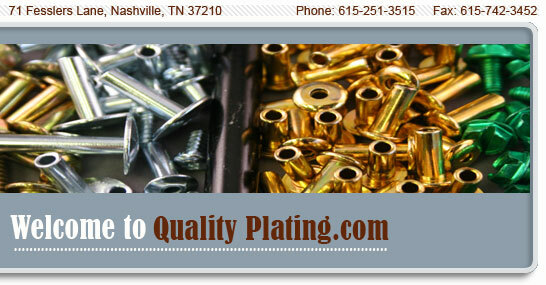 Quality Plating Co.,Inc is an ISO 9001:2000 registered company and abides by all standards set forth by their regulations. Click on the logo to view our ISO certificate.